This week has seen unity in Australian politics, but not bipartisanship. Malcolm Turnbull has announced that the government will not promote General Sir John Monash (1865-1931) to the position of field marshal. Former prime minister Tony Abbott agrees with the decision. But not Bill Shorten. In a sense, the debate about Monash, which has been driven by former Nationals leader and deputy prime minister Tim Fischer, is a distraction as Australians remember those who served or fell in World War I. Next week the Prime Minister will open the Sir John Monash Centre at Villers-Bretonneux in France. This was the initiative of Abbott (who will be present at the event but is not scheduled to speak) when he was prime minister. Abbott, along with John Howard, has done more than any other Australian political leader in the modern era to highlight the importance of the First Australian Imperial Force in the defeat of Germany on the Western Front. Contrary to the mythology promoted by some, Monash received honours aplenty during his life, and widespread recognition after his death. There is no doubt that Monash, as a corps commander, played an important role in the battles that led to the defeat of the German army on the Western Front in 1918. But Australia did not win the war alone, even though the likes of Monash biographer Roland Perry have come close to claiming this. British, Canadian and New Zealand forces played a significant role in defence and then attack in 1918. Monash was a highly successful military leader in these crucial battles. But so were Canada’s General Arthur Currie and New Zealand’s General Andrew Russell. And in recent years there has been a significant reappraisal of the performance of Britain’s Field Marshal Douglas Haig, the kind of military leader who was mocked in the Blackadder television series and in the stage musical and film Oh! What a Lovely War. In his book Architect of Victory, Walter Reid acknowledges Haig’s ultimate success while recognising that, like all military leaders in 1914-18, he made some mistakes along the way. There are two problems with the campaign to promote Monash to field marshal, apart from the fact that such posthumous promotion would run contrary to Australian military tradition. First, the campaign to get Monash more and more honours overlooks the fact the First AIF was a talented group across its various divisions. That is to say, Monash, who was not a frontline soldier, could not have achieved what he did without the support of what were then referred to as his officers and men. 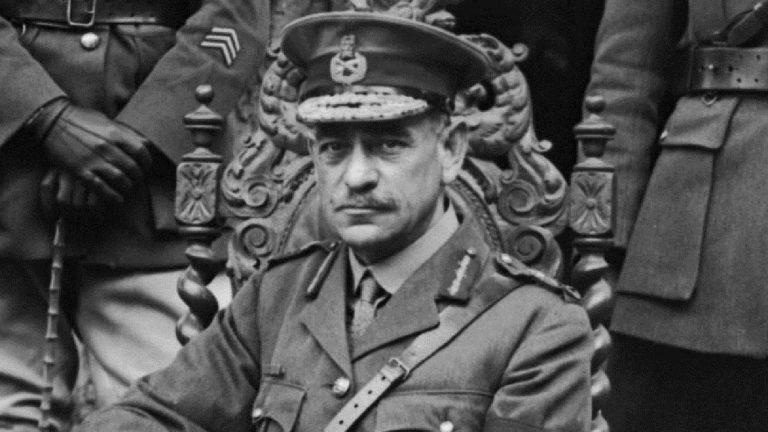 Second, Monash never fulfilled field marshal duties during his military service. He achieved the military title appropriate to his rank. Any concentration on what Monash did not achieve overlooks the fact what he did achieve speaks very well of Australia during the early years of the 20th century. He was a citizen soldier when the guns began firing on the Western Front. He was a Jew at a time when anti-Semitism was a reality in most societies. And he was of Prussian background. That such a man came to be a corps commander in 1918 indicates that the Australian government at the time was interested in performance, not identity. It’s difficult to believe that Monash, despite his talent, would have achieved such a rank or been given such a role in Britain in 1918. Or in Canada or New Zealand. It is known that Australia’s wartime leader, Billy Hughes, did not much like Monash. But Hughes, to his credit, did not stand in the way of Monash’s promotion. The opening of the Sir John Monash Centre should symbolise a tribute to all the men and women who helped win the war — and to their families, who endured the tragedy entailed by the death of loved ones, or injury to them. Abbott recently noted that Monash was one of Australia’s most successful men on the world stage (he also nominated Howard Florey and Rupert Murdoch). That’s a reason for celebration — as long as Australians remember that Monash did not achieve success on his own. He led a team. Next week’s celebration in France indicates just how the debate in Australia about World War I has changed in recent decades. In April 1985, I wrote an article for The Australian pointing out that although the Gallipoli campaign had been a failure, it had been entered into with the best of intentions — namely, to take pressure off Allied forces on the Western Front, since many believed at the time that victory could not be achieved there. I wrote that Australia’s (then) focus on the defeat at Gallipoli overlooked the fact the First AIF played a significant role in the defeat of Germany on the Western Front. At the time there was a constant refrain that World War I was “someone else’s war”, and Australians had “died in vain” in that conflict. It is now increasingly recognised that Germany was a Pacific power in 1914-18 and that a victory for the kaiser would have adversely affected Australia’s democratic way of life. This change in attitude was partly driven by the growing interest in ancestry as Australians wanted to know what their relatives did in 1914-18, and were proud when they found out. The opening of the Sir John Monash Centre is a symbol of a triumph a century ago. A recognition of a man who did not make it to field marshal, as well as those who did not make it above the rank of private.